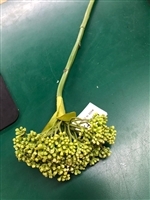 Sedum Spray Green 20" long. Sedum Spray Purple 20" long. Sedum Spray Cream/Green 20" long. Rose Bush Pink 9" long with 5 roses in the bush. 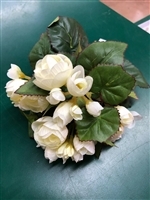 Rose Bush Cream 9" long with 5 roses in the bush. 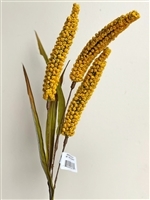 Millet Spray Yellow 30" long with three millet sprays attached to one stem. 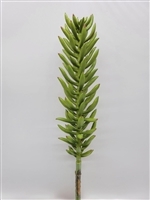 Sedum Spray Green 22" long. 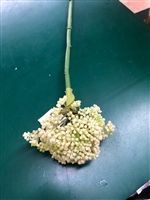 Sedum Spray Cream 22" long. 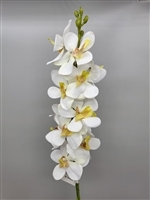 Phalaenopsis Orchid Stem 21" long. Pincushion Stem Green 26" long with a couple of leaves on stem. Pincushion Stem Red 26" long with a couple of leaves on stem. Pincushion Stem Orange 26" long with a couple of leave son stem. Pincushion Stem Yellow 26" long with a couple of leaves on the stem. 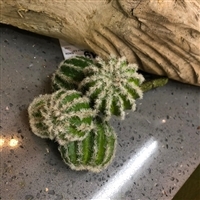 Barrel Cactus Pick 5.5". Brings five barrel cactus on one pick. Rose Bush Pink 12" long with 7 roses in the bush. Rose Bush White 12" long with 7 roses in the bush. 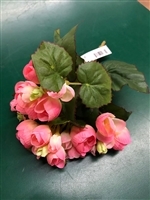 Rose Bush Pink/Cream 12" long with 7 roses in the bush. 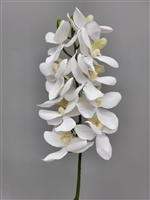 Vanda Stem White Orchid 30" long. 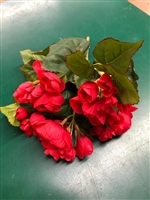 Boungainvillea Stem Red 47" long. 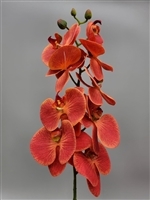 Phalaenopsis Orchid Stem Orange 31" long.